Here's watch to look for on this weekend's Road to the Olympic Games shows, featuring action from around the globe in short track speed skating, cross-country skiing, and alpine skiing. If there is a heartland for the sport of short track speed skating, it may be South Korea which over the years has boasted more success in this unpredictable and dynamic pursuit than any other nation. This weekend the world championships will reach a frenetic pace in Seoul and the skaters from home are bound to be the favourites not only for the discipline titles, 500-metre, 1000m, 1500m and 3000m (also known as the super final), but also for the overall crown which is short track's most sought-after prize. In women's competition, teenager Choi Minjeong will take the ice as the defending champion hoping to build momentum for the Olympics in Pyeongchang which are less than two years away. That said, Canadian speedster Marianne St-Gelais has enjoyed her best season to date having accumulated 14 World Cup medals including four victories. A triple Olympic silver medallist, St-Gelais has been on the podium in every discipline over the course of the campaign and is targeting her first career overall medal at world championships. Her best finish to date was fourth in 2013. "We worked as a team – my coach, my psychologist and myself – on an issue I had with not being aggressive enough," St-Gelais said from South Korea. "We had to find the zone. They reminded me of this every race this season and are still here to remind me of it at world championships. "We have to have high expectations and not be happy with 2nd place or 4th place. Instead we always have to go for the win. That's a part of the deal and the work we had to do." St-Gelais' fiancé, Charles Hamelin, is chasing the one thing that has eluded him over the course of his illustrious career. While the man who is also known as the "St. Julie Locomotive" has three Olympic gold medals, nine individual titles, and a total of 30 medals at the world championships, he has never captured the overall crown. "It's the objective I fixate on every time I go to the ice at the world championships," Hamelin admitted before a training session in Seoul. "It's another year and I still want to be world champion. The confidence I have built along with my coach Derrick Campbell is important. "This is more than possible. When it's working and I keep my focus in the right place, I'll win a lot of races." While he has finished second twice and third three times, Hamelin is into his thirties now and the opportunity to reach the pinnacle may be running out. He has had a successful season with six gold medals and nine podium finishes but Hamelin's performances have suffered from inconsistency. He might be buoyed by the fact that last year's overall champion Sjinke Knegt of the Netherlands is injured and unable to defend his title. The site of the 1994 Olympic downhill in Kvitfjell, Norway, has become a fixture on the World Cup ski racing circuit for the more than 20 years which have elapsed since the Lillehammer Games. Recently, Norwegian men have become dominant in the downhill and this Saturday's race on their home snow presents an interesting storyline. The current World Cup discipline leader, Aksel Lund Svindal, is out for the season having injured himself in a spectacular crash at Kitzbuehel in January. His lead over Italian Peter Fill, who won that race in Austria, is a mere 26 points but only two downhill's remain in the hunt for the Crystal Globe. Fellow Norwegian and last year's World Cup downhill champion, Kjetil Jansrud, is less than 100 points back of Svindal so a win at Kvitfjell could set up a storybook finish to the campaign which has seen a number of talented racers, including Olympic champion Matthias Mayer of Austria, go down with injury. 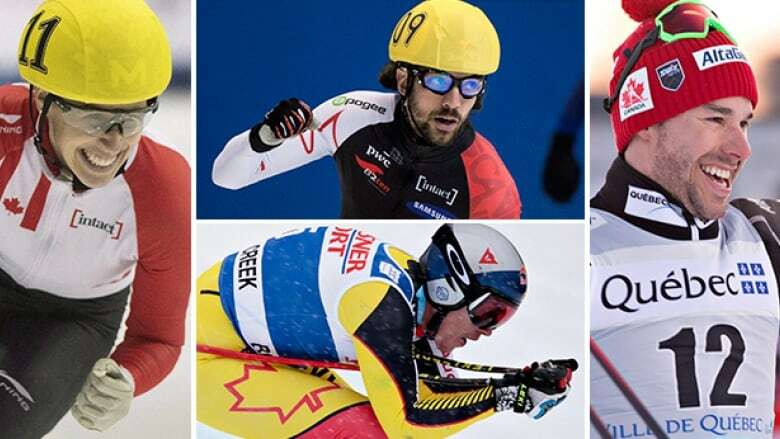 The Canadian men are still looking for their first podium result as the finals approach in St. Moritz, Switzerland. As it stands now, women have won all five Canadian medals in 2015-16, three by speed racer Larisa Yurkiw and two by technical specialist Marie-Michelle Gagnon. Erik Guay has been on the podium four times at Kvitfjell including his last win in the downhill in 2014. Manuel Osborne-Paradis has also enjoyed success here including three medals and a downhill win in 2009. The inaugural Ski Tour Canada concludes with the final cross-country ski races from the Nordic Centre at Canmore, Alta., the site of the 1988 Olympic Winter Games. The 12-day, eight-race tour has attracted the best from around the world to Canada to chase the Crystal Globes as for the first time the culmination of the racing season occurs in North America. As might be expected, skiers from powerhouse Norway are dominating with four of the top five women in the season standings hailing from that country. Therese Johaug is currently the leader and will have to perform well in the sprint, skiathlon (which employs both classical and free techniques in the same race), individual time trial, and pursuit events which remain in order to secure the championship. On the men's side, the Norwegian grip on success is even more pronounced. Eight of the top ten places on the World Cup leaderboard belong to athletes from Norway and the two-time defending champion Martin Johnsrud Sundby is all but assured a third consecutive title. Canadian Alex Harvey has enjoyed his best racing this season during the eastern portion of Ski Tour Canada. The 28-year-old finished second and fourth respectively in the sprint and pursuit races which were held in his Quebec City home last week. Harvey, who has twice been to the Olympics and won four world championship medals, is hoping to match or better his ninth place World Cup result from last season. He is also focused on a top five placing in the Ski Tour Canada overall results when the eight races are complete in Canmore.